In 2012 in response to a number of occasions of vigorous community opposition to the establishment of community homes for adults eligible for residential care funding or children in the care of Child and Family Services the Community Inclusion Awareness Committee was created. This committee, Chaired by Dr. Jennifer Frain, CEO of New Directions included other service provider representatives, representatives from various provincial government departments, and other community stakeholders. The product of this committee’s work is Beyond NIMBY: A toolkit for opening staffed community homes in Manitoba. This toolkit addresses common misconceptions about these homes, outlines the steps required for licensing, and provides communication tips and strategies. I spent some time reading through the NIMBY toolkit this morning. What an impressive tool; it is thorough, informative and easy to read. This will be of benefit to the entire province until we arrive at the place where we no longer need such a tool. 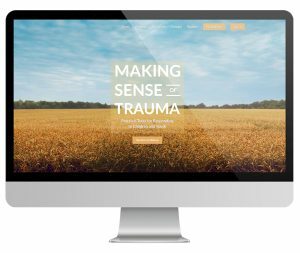 The Webinar provides tools and interventions for anyone working with children and youth who have experienced trauma. Participants learn how to use a Trauma-Informed perspective to better understand the relational, neurobiological and developmental impact of trauma on children, youth and their caregivers. The webinar has been translated to American Sign Language (ASL) and French closed captions. Remember that each of us touches the lives of those around us. Healthier, happier children, youth, adults and families mean healthier, happier communities. You can help make your community stronger, starting with yourself….and New Directions.